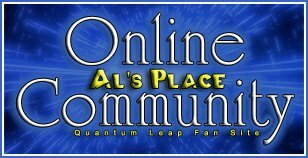 Want to read and review one of the official QL novels for this website? Just sign up here! Your review will become a permanent part of this website. This was started seven years ago and I hope to find some folks who will be interested in continuing the work! Hey Al, I'm going to be doing a re-read of Pulitzer with a friend in the next couple of weeks. Was wondering if Andrea still plans on doing a submission for this novel, or if it would be okay for me and my friend to work on a review together. Yes, please go ahead. It's been a long time since anyone participated - would love to have some new info! Thanks! A friend and I might end up collaborating together on this project. I'll e-mail you as soon as we have something put together. Brian/Al, I'll message/e-mail you too, but I'd like to do this. My first choice would be Foreknowledge. My second would be Song and Dance. I'd actually be open to reviewing any of them that nobody has adopted yet, but I'd like to begin with Foreknowledge. (Let's do one at a time here). Let me know if that one is still available. This sounds interesting and I've read pretty much all of them which are not simply novel adaptions of TV episodes. What type of reviews are you looking for? I've already posted my reviews for several of them here in their threads and am most pleased I'd say with the one I just posted for Foreknowledge and for Knights of the Morningstar.